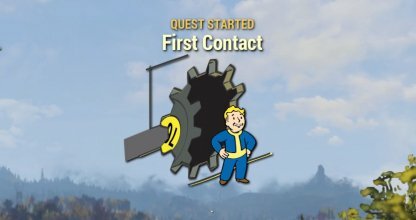 Check out this guide for a full walkthrough of First Contact Quest from Fallout 76, including gameplay tips, guides, and more. 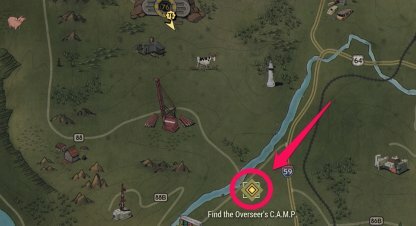 You can find the Overseer's Camp your south of Vault 76. You head straight down the road to get there, but there are a few points of interests that you can find and explore on the way as well. You will find a corpse near the bottom of the stairs where the Mr. Handyman, Pennington, is. The corpse will have a weapon and a letter with him that you can loot. 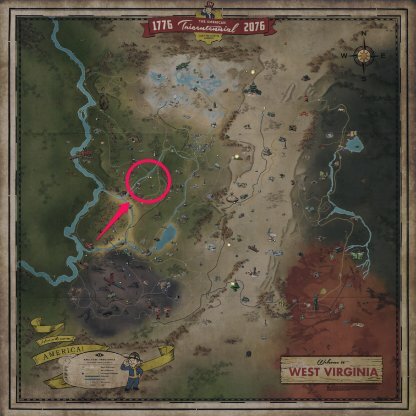 Follow the road on the right side of the Overseer's Camp to get to Flatwoods. Be on the lookout as Wild Mongrel and Molerats spawn around the area. 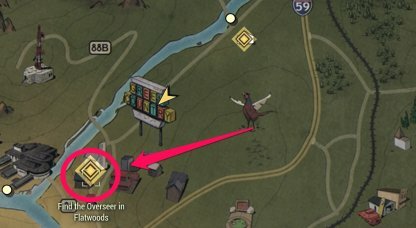 Flatwoods has a number of hostile Mr. Farmhands in its area. Make sure to utilize cover when fighting them as their laser can easily melt through your health. 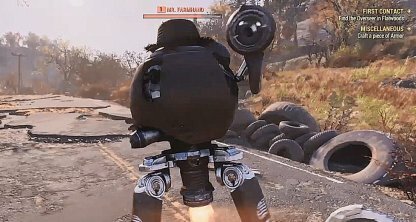 You can use melee against them, but make sure not to be stationary. 6. 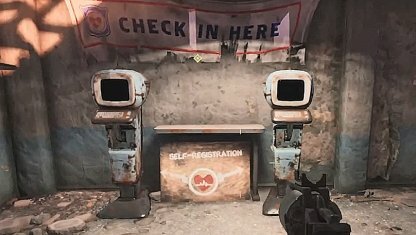 The Self-Registration Booths are pretty close to the Command Post. It's in the building just across the street!